Click here for webinars offered to National Honor Society Students throughout the school year. Go to NHS Google classroom for Scholarship application directions. The student must be enrolled at HRHS for at least one full semester prior to admission. The student must have AND maintain a cumulative grade point average of 3.500 or higher. To be considered for induction into NHS, you must have a mimimum weighted GPA of a 3.5 or higher. Students who meet these GPA requirements will receive a letter of eligibility and application to apply during the first semester of their Junior or Senior years. Students who meet the criteria and wish to apply will be asked to write an essay. The faculty council will evaluate applicants and students will be notified via letter of their acceptance/rejection in accordance with Highland's NHS Constitution. Looking for a community service/volunteer opportunity? 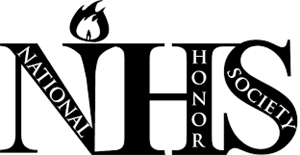 Click here to check out the National National Honor Society website.